Sealed with a kiss…or wait, almost. 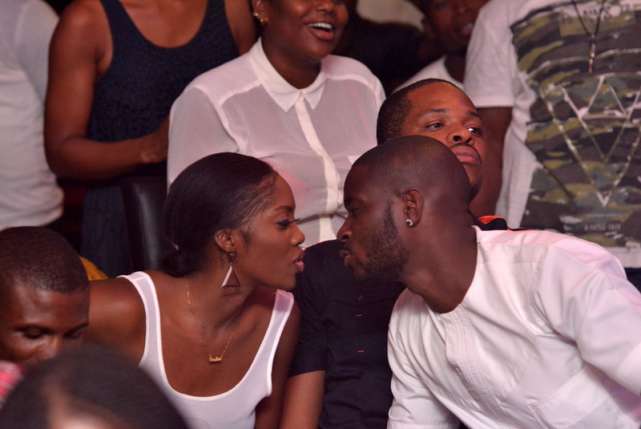 Tiwa Savage and Tee Billz are arguably one of the most romantic couples in the entertainment industry today. And the pair just love to flaunt their sweet love. 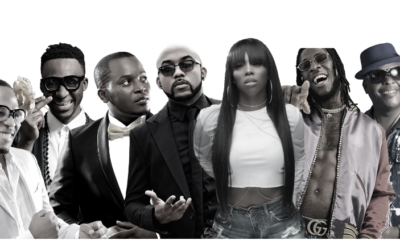 T² couldn’t keep their hands and lips off each other at DJ Jimmy Jatt‘s Industry Nite event on Wednesday 22nd January 2014 in Lagos. And we have the photos to prove it. Both dressed in white, the newly weds were snapped just in the nick of time about to have a sweet kiss. Matthew Ohio who was seated between them didn’t mind moving backwards for the couple to have some PDA. They were also spotted cuddling. 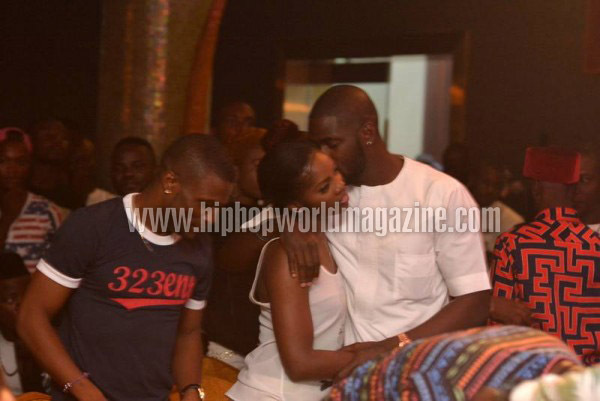 Yeah no drinks around, but Tiwa and Tee Billz are definitely drunk in LOVE! Who the F&*( writes these stupid narratives??? BN, explain yourselves. what was that guy even doing between them? 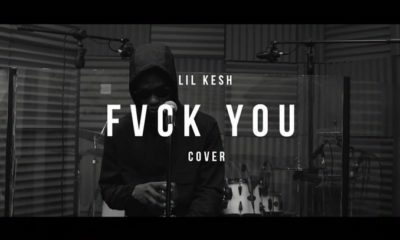 I had a good laugh at his situation!! Poor guy!! I love PDA! 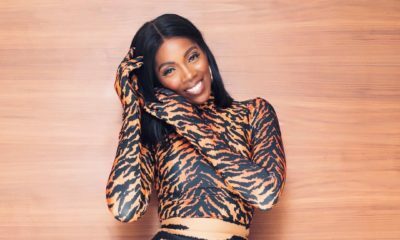 It just happens easily for people who are truly in love like Tiwa and hubby. Seriously you mean that guy had a need to sit in between them? Wow seat swaps ain’t a crime the last time I checked!! Anyway, she looks like a different person without the weaves. For now, I will just say she looks younger. I never like her makeup. Her hairline has been through some thangs. All the stress from cornrows, braiding, sewing, relaxer, etc. Give your hair a break sister. Na wa oo. Na 2 find my own & start PDA. Hope it’s not for the camera . Babe your hair Biko get as he be. 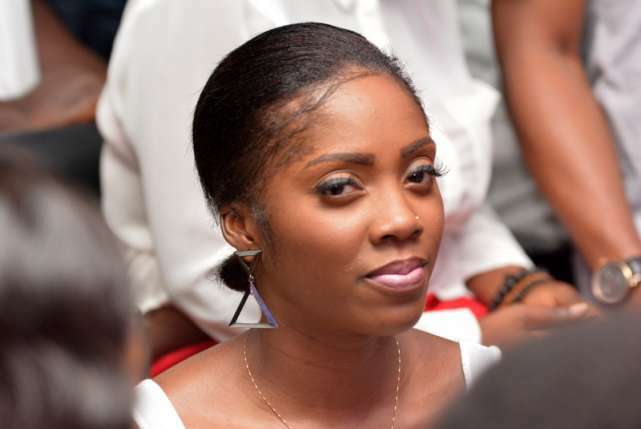 My Tiwa don’t mind them jare, u are beautiful. Everyday is not Christmas so don’t expect her to be perfect everyday. Abeggi wetin be PDA ooo????? Ajebo abeg let Google be your friend o! The guy in btw them should just stand up..lolll …………I GO LOVE OH!!!!!!!!!! Lol…I just can’t stop reading dis part…*Matthew Ohio who was seated between them didn’t mind moving backwards for the couple to have some PDA. Its funny, how naija women aren quick to critique but their hair is worse than Tiwa’s When the disguise of wig/weave comes down. Tiwa and Teebillz are a cute couple. Absolutely nothing wrong with her hairline…it’s so full that its almost touching her eyebrows…Infact her hair looks healthy to me…maybe its the way she gelled it down…either way…you are all way too critical..
than just being in love. Me too. God bless you. i didnt even notice the poor guy squashed in between them. Perfect hairline, wish i have the same.